You spend time trying to pinpoint how you are different from the competition. Master of your domain, expert in your space, thought leader- you know everything there is to know about your business you want your customers to know it. It's true that your industry experience and engagement is important to convey to your online audience. Modern buyers do the majority of their research online before making any purchasing decisions. The more you can share your expertise, the better you will fare during their evaluation. But here’s the trick: there is no fast track to thought leadership. There is no one blog title to get you to being considered the expert. Don’t tell me you’re a thought leader, prove it to me with content, engagement, and strategy. It takes more than renaming your blog “Thought Leadership” to win the respect of your audience and get them coming to you for industry news and innovative thinking. Everyone can claim to be a thought leader. If you don’t know what’s going on in your industry, then shame on you. So what’s so wrong with touting what you know with a blog title that shows that off? Anyone can include the blog titles “Thought Leadership” or “Industry Insight." There are no rules on what you call your blog, your navigation, or your resources section. Therefore it negates any impact or relevance of whether you really know your stuff. How do you get the message out that you have a thing or two to say about your business? And how do you let your clients know that you know their needs before they do? Share your story! Blogging is the first way to start telling your audience about how invested you are in your niche and that you are better than the competition. You don’t have to just talk about yourself and your business either, share your thoughts on industry news. Show that you are ahead of the game and the go-to. Inbound marketing is about helping people and the more helpful you are, the more you will be viewed as an industry leader. Blogging is a starting point, but thought leadership doesn’t happen in a vacuum. It’s time to start engaging and interacting with your peers and audience. Diversifying your message across platforms and including social media helps push the message that you are a key player and paying attention to the industry. With strategic engagement you can not only stay on top of the news, you can also share that news with your audience. Focus on the channels that are most relevant to your buyer personas. Are you talking to c-suite executives? Get on LinkedIn and make waves. Be a resource and be real-time. Talking with other subject matter experts across channels will only solidify your own industry presence. Strategy is important for showcasing your position in your industry and focusing on targeted content and engagement. Don’t send your audience mixed messages between what you write on your blog and how you interact on social media. Having a clear and cohesive digital voice and presence supports your overall goal of being known for your thought leadership. Thought leadership doesn’t cut it as a competitive differentiator. Everyone can say they are on top of their game. When it comes to thought leadership, it takes strategic content and consistency to gain the recognition of your audience. The proof is in the pudding, or rather, the content you share, create, and interact with. 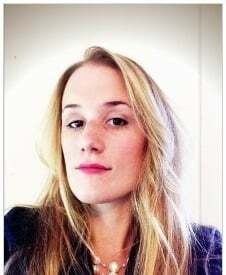 Bridget is a New England native with an MA in Art History from Scotland's University of Saint Andrews. She loves combining creativity, business, and brand to provide unique and exciting solutions for her customers. Outside of work, Bridget rocks out at the CrossFit gym or hits some distance runs. You may also find her barrel racing and working with her border collie herding sheep during weekends.